MK members are interested in (or love) turtles and tortoises and are curious about the ones that they see in Perth. Often they want to know more about them. We have two native freshwater turtles. The Western Long Necked Turtle and the Western Swamp Tortoise. Long Necks are common but Western Swamp Tortoises are endangered. MK member and mentor Cathy Levett is a member of the ‘Friends of the Western Swamp Tortoise’, a group that is dedicated to educating the community about our local turtles. She wrote a book which educates children about the critically endangered Western Swamp Tortoise. Westy the Western Swamp Tortoise was launched by the Hon. Stephen Dawson MLC, Minister for Environment and Jessica Shaw MLA, Member for Swan Hills on 7 March 2018 at Ellenbrook Library. (if Jess is in the photo too). 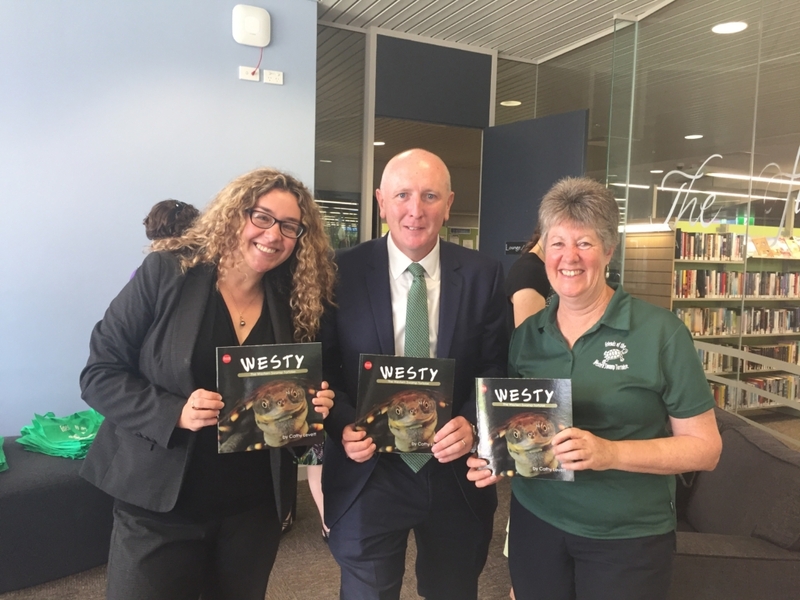 The photos in the book show Westy’s life from hatching at Perth Zoo to living in the swamp and children to understand why he is endangered.